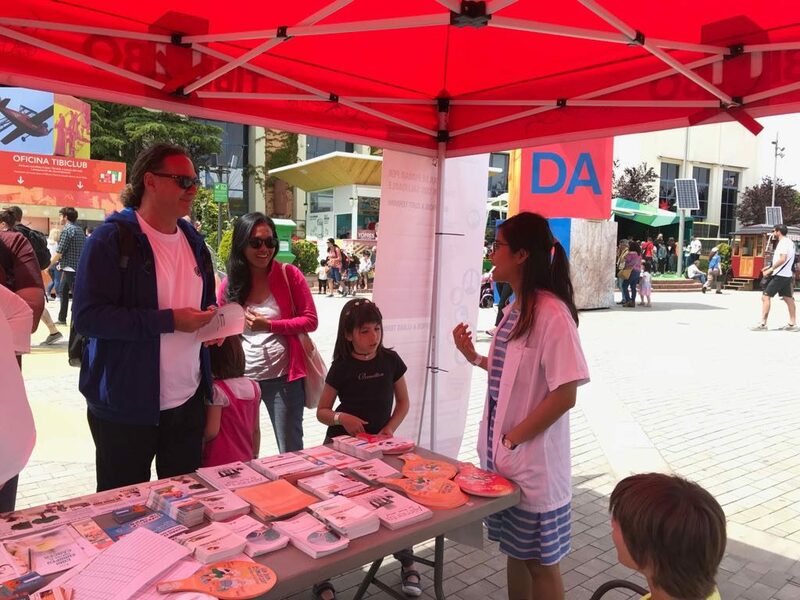 The 14th of June was marked by the opening match of the FIFA World Cup in Moscow; meanwhile, another outstanding international event was taking place in the comparably beautiful Spain capital, Madrid. 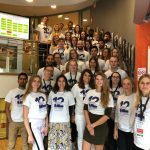 As with the cup, the international community was gathered for a very challenging target: “Meeting new challenges, joining local and global efforts towards the tobacco endgame in Europe”. 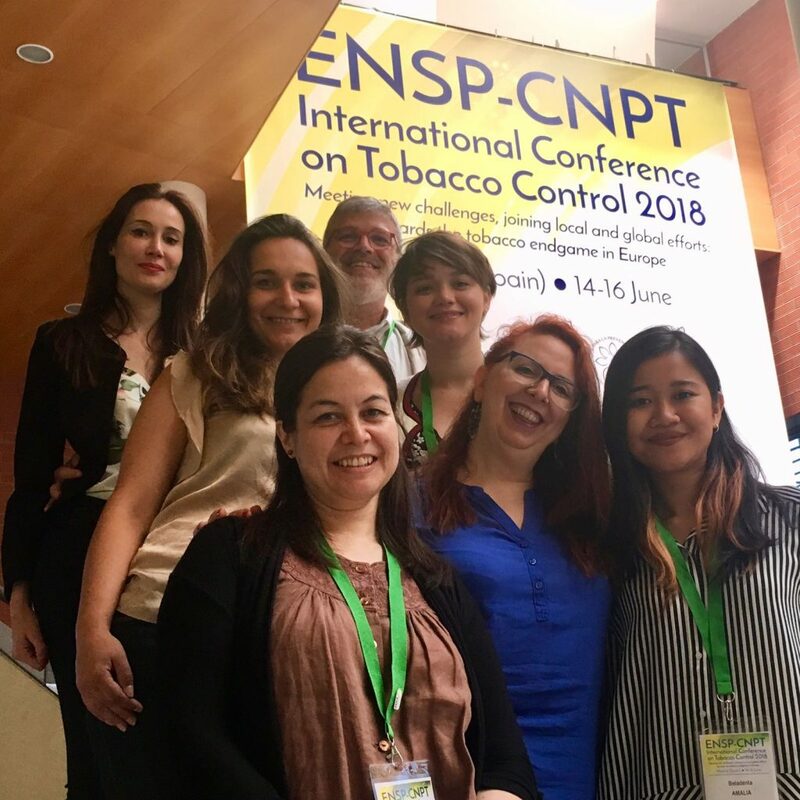 This was the title of the 3rd International Conference of the European Network for Smoking and Tobacco Prevention (ENSP) witch, this year, occurred in partnership with Spanish Committee for Smoking Prevention (Comité Nacional para la Prevención del Tabaquismo -CNPT). 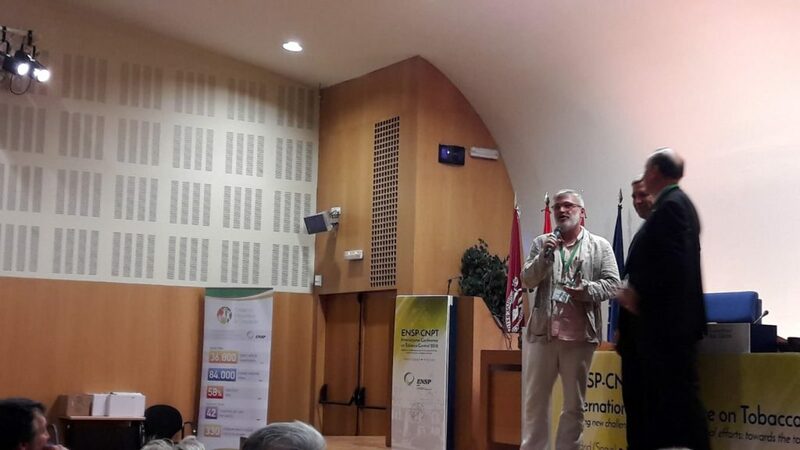 Francisco Rodriguez Lozano and Regina Dalmau, Presidents of ENSP and CNPT, respectively, in their opening speech, set the directives of what participants would find in the conference and presented the involved committees, chaired by Esteve Fernandez and Panagiotis Behrakis (scientific committee), and Francisco Camarelles and Javier Ayesta (local committee). In a nutshell, the conference consisted of parallel sessions, posters and plenary conferences ranging from monitoring and implementing policy in a national and international context to tobacco cessation initiatives and experience sharing. Cristina Martínez (researcher of ICO Tobacco Control Unit) jumped through three sessions to present the communications “Factors associated with the implementation of the 5As smoking model” (session on training health care professionals), “Predictors of tobacco products and cannabis use among nursing students” (session on Youth and tobacco), and “Conflicts of interests in research on e-cigarettes: a cross-sectional analysis” (session on e-cigarettes). Esteve Fernandez (Head of the ICO Tobacco Control Unit) presented “Smoke-free legislation in 6 European countries” (EurestPlus session) and updated the current knowledge and opportunities on “Plain packaging” in the session on challenges for tobacco control. The second day began with the plenary session of “Tobacco Control in Europe-Achievements and Challenges” which was chaired by Constantine Vardavas (Principal investigator of the EUREST-PLUSH2020 Project) and Cornel Radu-Loghin (ENSP Secretary General). In this session, Anca Toma Friedlaende (Smokefree Partnership), Elif Dagli (Health Institute Association, Turkey), Guangyuan Liu (WHO-FCTC Secretariat Geneva), and Thea Emmerling (European Commission, DG Santé) shared their work towards tobacco end-game in Europe. The session was followed by interesting panel sessions, including Tobacco Advertising Promotion and Sponsorship where ICO Tobacco Control Unit member, Sarah Nogueira (doctoral researcher), presented her research results entitled “Exposure to anti-smoking advertising across six European countries, findings from the International Tobacco Control six European countries (ITC-E6) survey”. Esteve Fernández presented the workpackage on “tobacco product regulation” within the EU Joint Action on Tobacco Control session, and the commuinication “Challenges in the field of research regarding tobacco control opportunities for future cooperation” in the session of research capacity for Central and Eastern European countries. 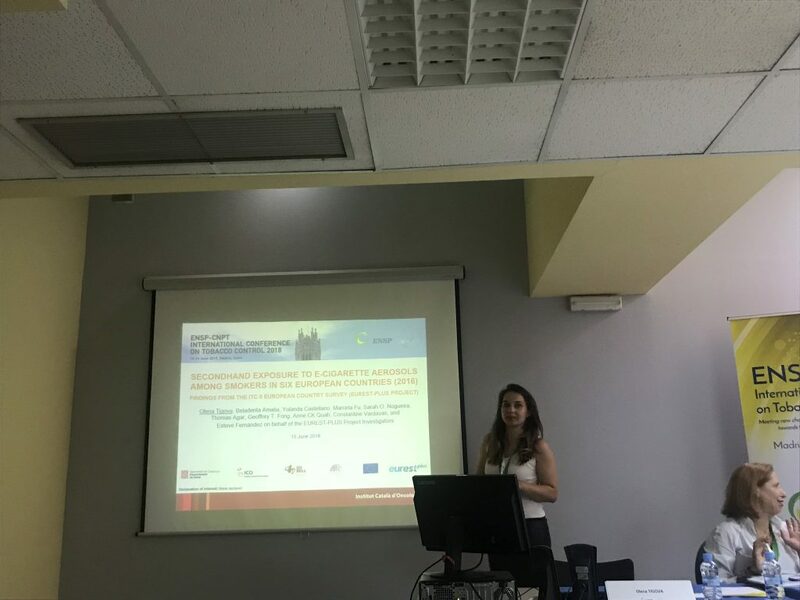 Olena Tigova (Scientific Project Manager of ICO Tobacco Control Unit) presented “Use of e-cigarettes and second-hand exposure to their aerosols in Europe: findings from the ITC 6 European country survey (EUREST-PLUS project)”. Members of the tobacco Control Unit also presented three posters on “The impact of Indonesia’s tobacco control policy” (Beladenta Amalia, doctoral researcher), “Impact of an on-line programme in hospital worikers’ smoking cessation interventions in Bolivia, Guatemala and Paraguay” (Cristina Martínez) and “Compliance with smoke-free legislation in six European countries” (Marcela Fu). 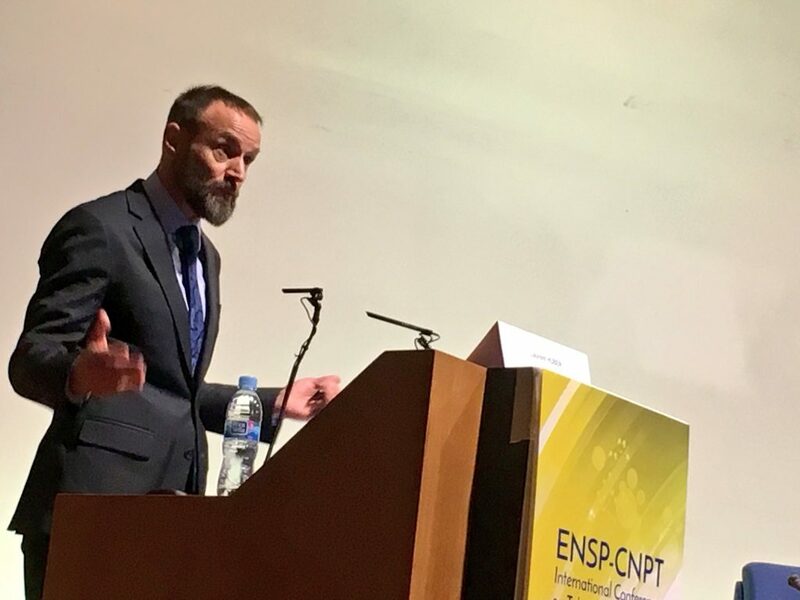 The ENSP President and General Secretary announced the names of persons who have had an exceptional contribution in the tobacco control field to receive the “ENSP Awards”. We were very proud that Esteve Fernandez was among those awardees. At the end of the day, the participants had the opportunity to meet former Spanish health ministers Elena Salgado (2004-2007) and Trinidad Jiménez (2009-2010), who shared their experience in fighting for smoke-free laws in Spain. The final day was marked by the panel sessions entitled Second-hand Exposure, with Xisca Sureda, tobacco Control Unit associate researcher and assistant professor at Alcalá University, charing the session. 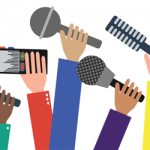 Xisca also presented the results of the outdoor hospitality venues –a real challenge for tobacco control policies and highlighted the importance of spreading scientific knowledge with the general population through media venues. 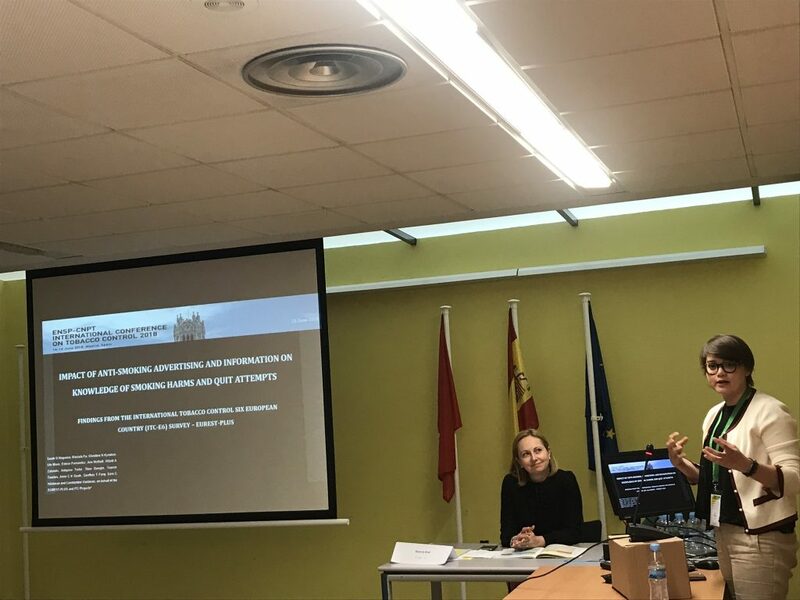 In the same session, we had the pleasure of having the results on “Smoke-free homes and cars in European countries”, presented by Marcela Fu, ICO Tobacco Control Unit researcher. Additionally, results from Georgia, Australia, Netherlands and Turkey on tobacco control policies were presented in the final plenary session of the conference. Bucharest was formally announced as the next meeting point of our community as host of the 4th ENSP International Conference on Tobacco Control (27-29 Mrch 2019) during the final remarks of the conference. Additionally, a declaration was announced as the result of the conference. The document will be posted soon on ENSP social media and website (https://enspconference.org/ and https://www.facebook.com/ENSP.org/) as well as in the Tobacco Control Unit blog (www.tobaccorelated.org). 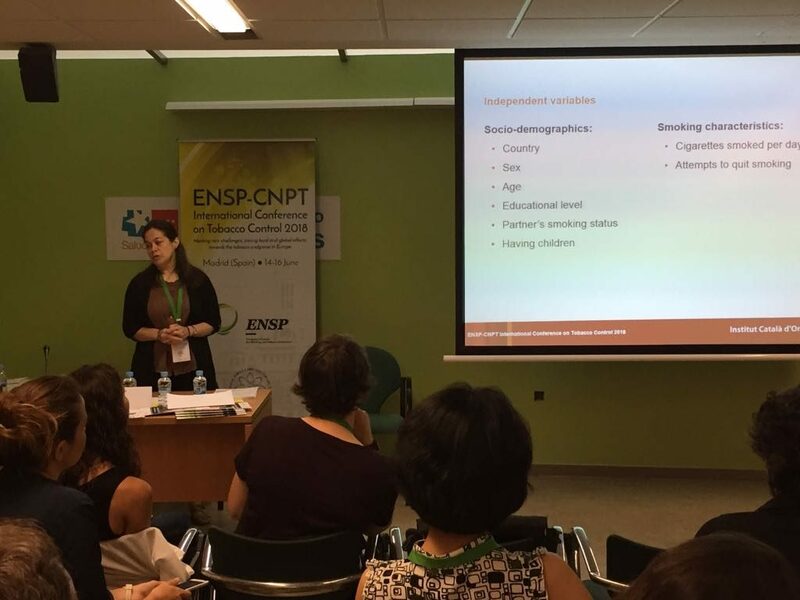 If you would like to have access to more information and photos of the event, please check some of our team’s twitter accounts: @AnnaRiccobene, @stvfdz, @beladenta, @tobaccorlated and the hashtag #ENSPCNPTconference.